"Oxytocin receptor concentration increases greatly during pregnancy in myometrium, reaching a maximum in early labor at term". 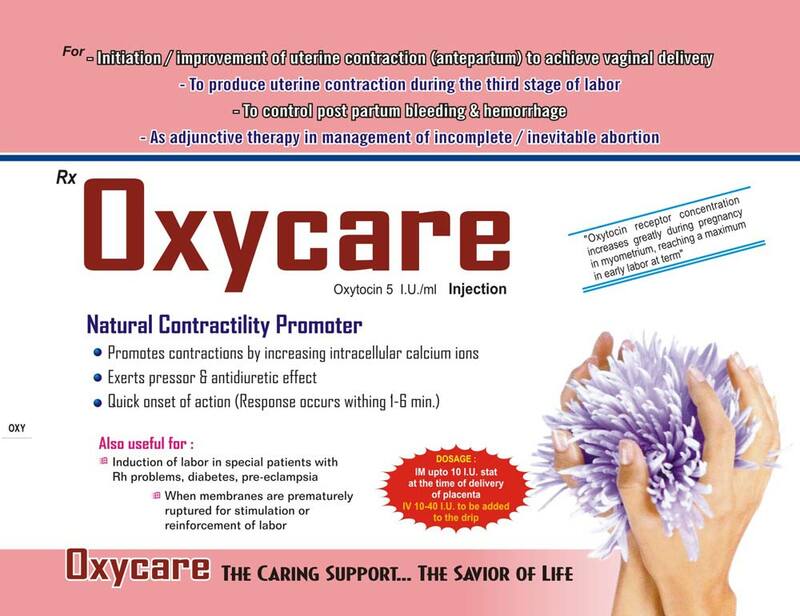 Oxytocin Injection is specially formulated for initiation/improvement of uterine contraction (antepartum) to achieve vaginal delivery. The Oxytocin 5 I.U./ml injection is the caring support and the savior of life.